FIRESHIELD ArchitecturalWhite is used to protect new or existing structural steel members from fire by insulating the steel surface. It achieves a fire resistance rating of 30 to 90 minutes. 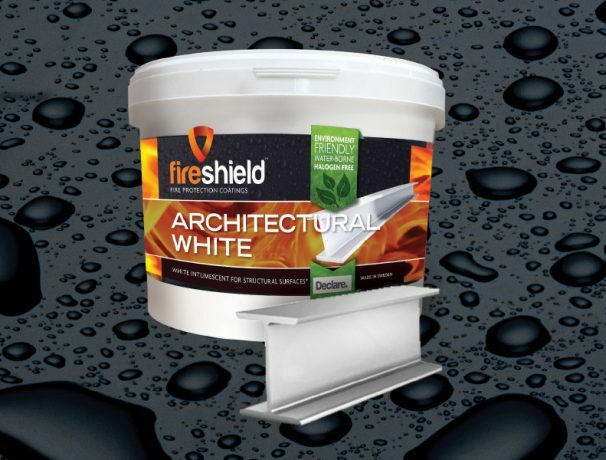 FIRESHIELD ArchitecturalWhite is a water-borne white intumescent, which is environmentally friendly, very competitive in price, gives an excellent surface finish, and is easy to apply. AS1530.4:2005, BS476:2009, and UK AFP Yellowbook 5th Edition. The difference between a fire that causes serious damage and one that causes a catastrophic loss of life is just a couple of minutes. By preventing fire from starting or spreading, FIRESHIELD’s easy-to-install fire protection systems help save lives, buildings and items of value. 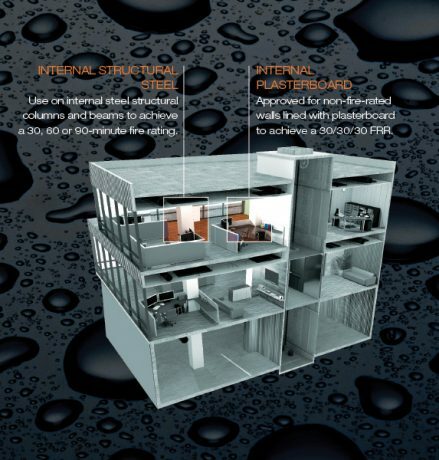 FIRESHIELD ArchitecturalWhite is water-borne, fire-rated intumescent coating, primarily for structural steel, to achieve a 30, 60 and 90 min fire rating. Being water-based, it is easy to apply and gives an excellent architectural, paint-like finish. It is environmentally friendly, with Declare Status (Red List free), and is very competitively priced. FIRESHIELD ArchitecturalWhite can be used with over 30 approved steel primers and can be top-coated to achieve any colour finish from the approved top coats list, providing a tested and approved protection system. Manufactured in Sweden under ISO14001, ISO9001 and a range of European green building certification schemes, FIRESHIELD products have been assessed and certified for Declare status under the Living Building Challenge scheme.